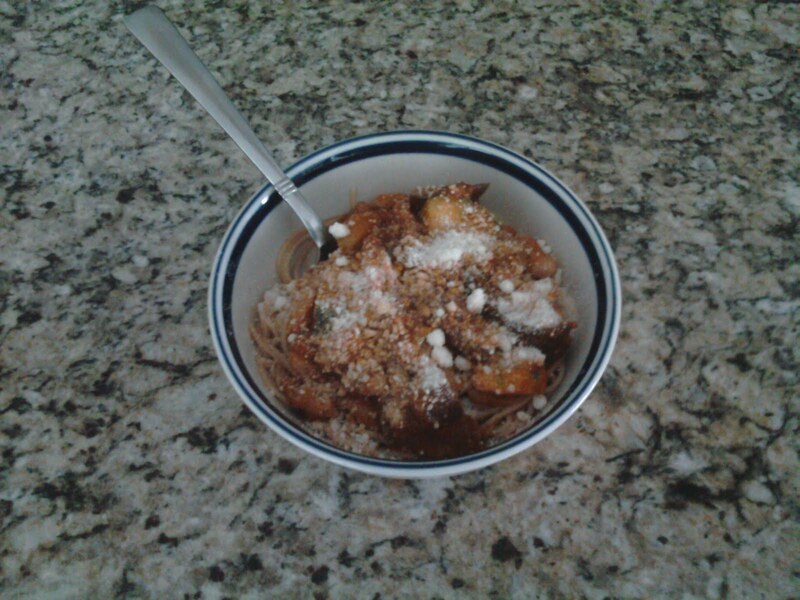 I came home and made a very simple and delicious veggie spaghetti sauce over whole-wheat thin spaghetti. I just sauteed some garlic, onions, squash and eggplant. Having everything pre-cut really cut down the prep time. It was great! 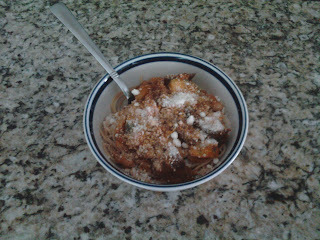 I added some garlic & onion spaghetti sauce and mixed it with a little bit of pre-made basil pesto. It was so good, I really love the flavor of the eggplant. I was worried that having pre-cut it was going to affect the flavor and texture, but it came out better than it usually does. If you've never cooked with eggplant, make sure to slice it, sprinkle it with salt on both sides, and place it on a strainer for 30 minutes, then rinse. It makes the eggplant so much tastier!!! For dessert, I had a mango.